Next week we will host our annual donor appreciation brunch and open house at Notre Dame Center in Thousand Oaks, California. In the spirit of thanksgiving, Sister Mary Colette Theobald, who is currently serving in Uganda, wrote a letter of appreciation to our many spiritual and monetary supporters. I want to personally thank you for all the support you give to the Sisters of Notre Dame. I very personally see your spiritual and monetary contributions at work in the Uganda mission. 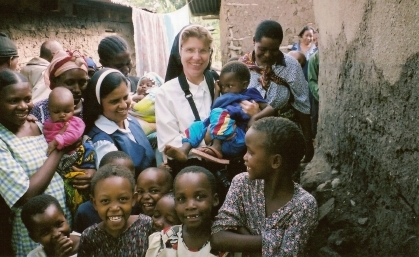 The Sisters of Notre Dame have been in Uganda for 20 years. The primary school began in 1998, formation for young sisters in 2002, the secondary school in 2003, nursery school in 2007 and a second community in 2009. Construction for a new nursery school for Buseesa has started. There are 12 Ugandan Sisters. Ten more are in the novitiate in Tanzania. Hundreds of young people have benefited from a strong Notre Dame education. Those who have completed their studies are beginning to return to their villages to uplift the standard of living of the people there. None of this would have been possible without you! Thank you, thank you! Webale muno! God bless you! Ruhanga asiimwe. 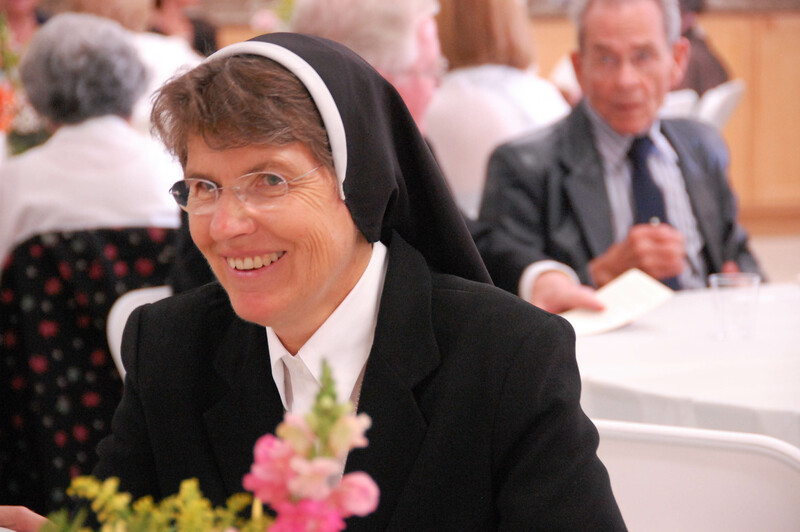 Thank you, too, for all the other ways you help and support the Sisters of Notre Dame: ministry projects, housing support and renovation, and support for our wonderful aged sisters who gave so much to serve God and His people. May God bless each and every one of you with all the graces and blessings you need at this time. Please be assured of many prayers for yourself and your families from all of us in Uganda! At the age of 18 after high school graduation, Sister Rose Marie entered the convent in 1972. She gratefully recalls her former novice directress, Sister Mary Damien, who mentored and encouraged a life of prayer, service and fortitude. After pronouncing first vows in 1975 as a Sister of Notre Dame, Sister Rose Marie taught for 16 years at the primary, elementary, and junior high level. Since 1993, Sister is a photographer specializing in spiritual and humanitarian outreach. 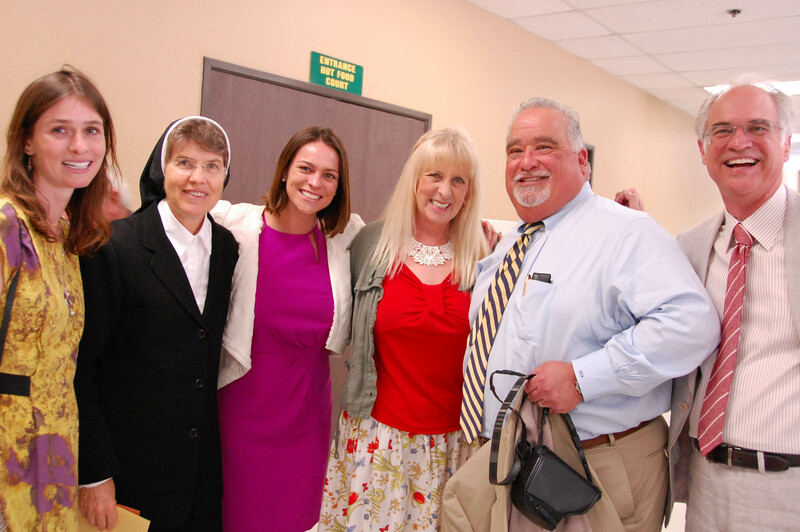 The Notre Dame Creations ministry has taken her around the globe where she has passionately deepened her engagement with the mission of the Church, scripture, and the family of God. Sister combines her gifts of liturgical and fine art photography, as well as writing, speaking, retreats, spiritual direction, and parish missions. In 2004, Sister Rose Marie produced a fine art book of photography and inspirational writing entitled In the Between. Proceeds from the book enabled the Sisters of Notre Dame in Tanzania and Kenya to build the Zinduka Women’s Center, Notre Dame School for elementary and high school students, Aloysia Orphanage, and Notre Dame Primary School. In April of this year, Sister Rose Marie traveled to Corpus Christi, Texas for an immersion experience at the border of Mexico. She joined several Sisters of Notre Dame, all from different American Provinces, to minister at the border. She described her experience there, “witnessing the desperation of migrants facing deportation” as life changing. “I am grateful for the grace to respond to the call to come to the border and be unsettled by truth. I am grateful that despite the often-painful topics and emotional encounters, I see Jesus in the volunteers, the sisters and the immigrants,” she said. Sister recently completed graduate studies in Pastoral Theology and Ministry at Boston College. She will be exhibiting Notre Dame Creations at the Papal World Family Meeting in the Philadelphia Convention Center. September 21-25, 2015.